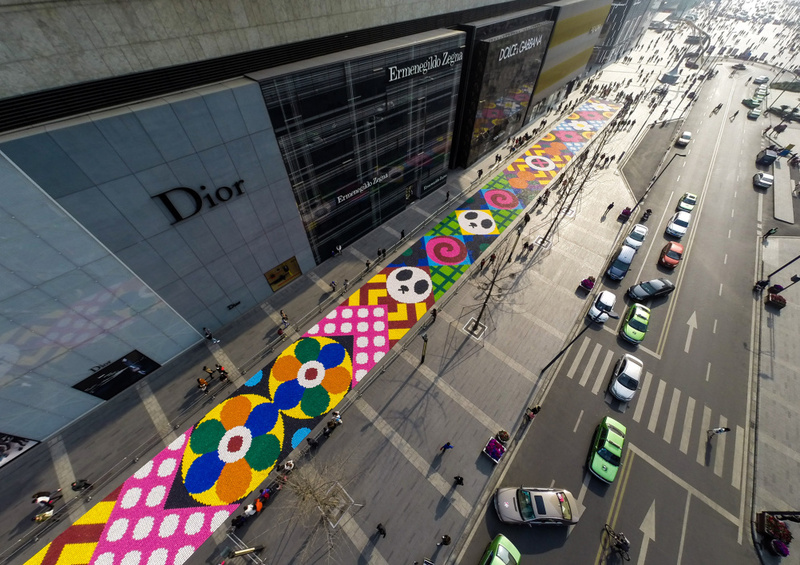 New York- and London-based duo Craig & Karl have created an installation comprising 13 tonnes of sweets in the Chinese city of Chengdu. 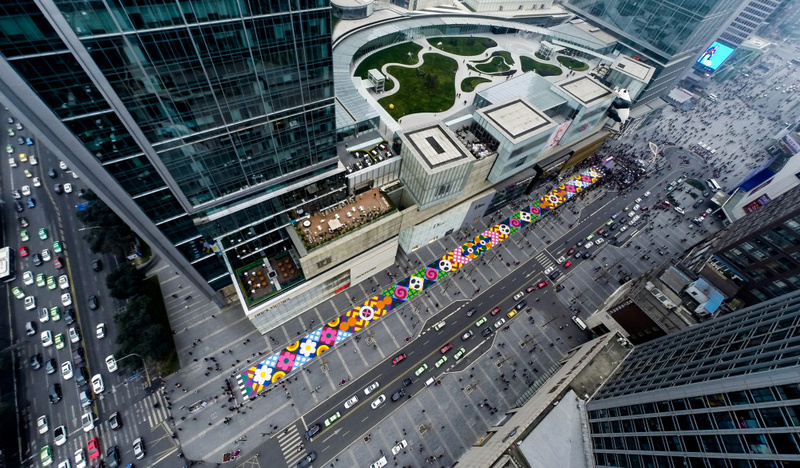 The Sweet as One exhibition has been curated by Hong Kong studio AllRightsReserved and installed at the Chengdu IFS development. 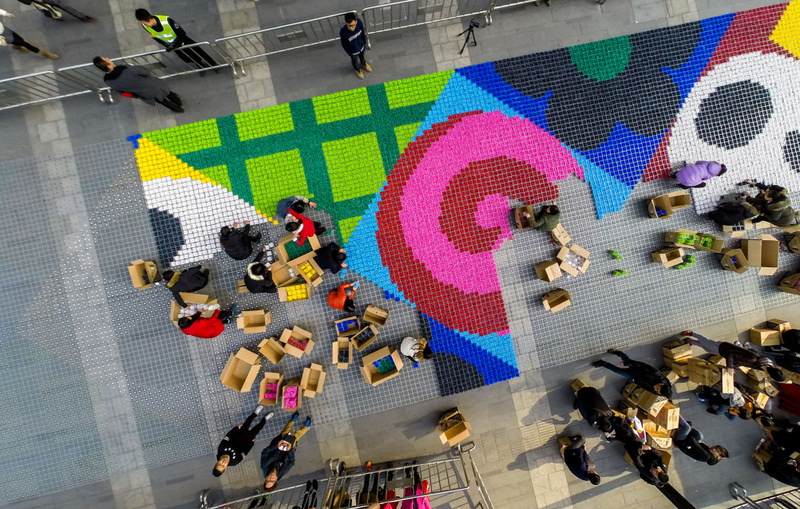 The organisers say the aim is to bring awareness “to the plight of underprivileged children in rural areas” and the sweets will be donated to children – alongside other meals – when the installation is taken down. 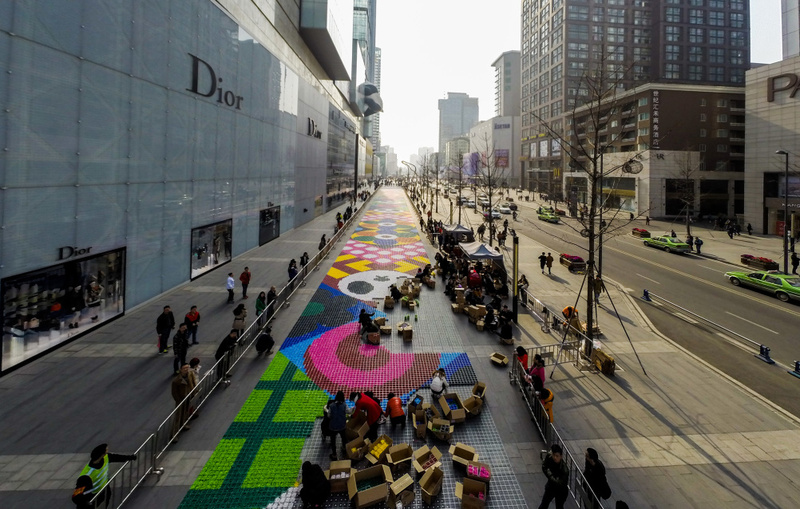 The installation covers 1,400m2 and was created by more than 2,000 volunteers. Small squares were created using single-coloured candy and these squares were then used to create the overall image. 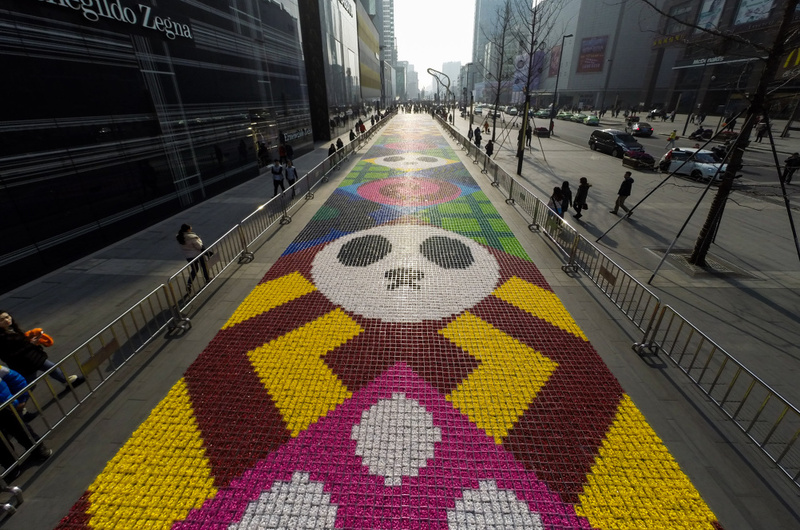 The installation itself features a variety of images including blooming flowers – which symbolise good luck – and stylised pandas.